IO Interactive says the next Hitman game will feature Agent 47 at the peak of his career, with huge sandbox levels, the return of Contracts Mode and more. It was reported earlier this month that the next-gen Hitman title being developed for Square Enix had been canceled, which caused a certain amount of confusion because IO Interactive quickly moved to remind everyone that it has a new Hitman project in pre-production, separate and distinct from the one that was terminated. And now, quite possibly in an attempt to clarify the situation and remind the world that Hitman is alive and kicking, the studio has posted a message offering some insight into what's coming in the next game - and it sounds a lot like it's returning to the Hitman of old. "In the next game you will experience a globetrotting Agent 47 at the prime of his career - the apex predator stalking his prey across the world, with the support of his long-term handler Diana Burnwood and the whole of the ICA," the message states. "The game concentrates on the core Hitman fantasy of using a wide range of tools to take out a diverse group of targets across expansive, exotic locations around the world." Levels will be open, non-linear and checkpoint-free, with an "extreme level of detail," and players will be able to create and share challenges through the return of Contracts Mode. Agent 47's "magic pockets" are also gone - "We believe that's all we need to say about that subject," the studio wrote. More details will be revealed over the course of the year, but it sounds like a step in the right direction. 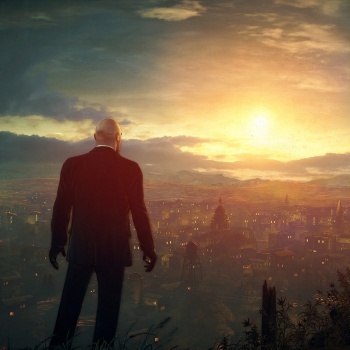 IO Interactive's new Hitman game is currently in development for the PC and "next-gen" (although that presumably now means current-gen) consoles.